Working with regular collaborator, choreographer Kim Brandstrup, Leo Warner designed this danced celebration of Benjamin Britten’s Centenary year, set to his Variations on a Theme of Frank Bridge, featuring some of the finest dancers from the Royal Ballet (London) including Edward Watson and Mara Galeazzi. Part of a triple-bill with the Royal Ballet Flanders, and set in the the beautiful brickwork structure of the Snape Maltings Concert Hall in Aldeburgh (where Britten himself was Music Director for many years), there was no place for traditional scenery. Working with animator Nicol Scott, Leo designed a seafront environment which augmented rather than replaced the brickwork structures of the building. The back wall of the theatre thereby became a seafront which gently ages, decays and crumbles before the audiences eyes as a half-remembered event from the past surfaces and recedes. 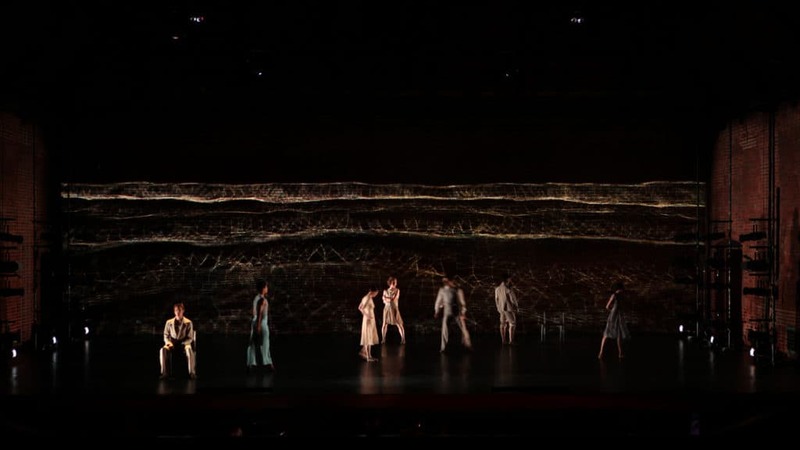 Occasionally the wall apparently dissolves entirely, to reveal the sea beyond, created not with film of real water, but using nodal points and lines, as mathematical and yet fluid as the dancers themselves. Shadows also play a big part – mixing real with projected, so that during one sequence in particular it is impossible to tell whether the figures in the darkness that Watson is pursuing are solid or ephemeral, appearing and disappearing all around him, before being wiped away altogether by the headlights of an (imaginary) car driving past. This show was then restaged in the Royal Opera House, Covent Garden, in November 2014, bringing its innovative and distinctive projections to one of London’s most iconic stages. Taking his cue from the light and shadows in Britten’s music, Brandstrup’s narrative is an impressionistic shuffle of past and present. The older Britten (Edward Watson) feels himself caught in the toils of his physical and artistic mortality, looking on with envy at the spontaneous facility and verve of his former self (the very young and gifted Marcelino Sambé). Branstrup conjures a wonderfully elegiac fragility of tone here, reflected in Leo Warner’s light projections, which cast a vestigial half-remembered landscape over the dark red brick of the Snape stage. 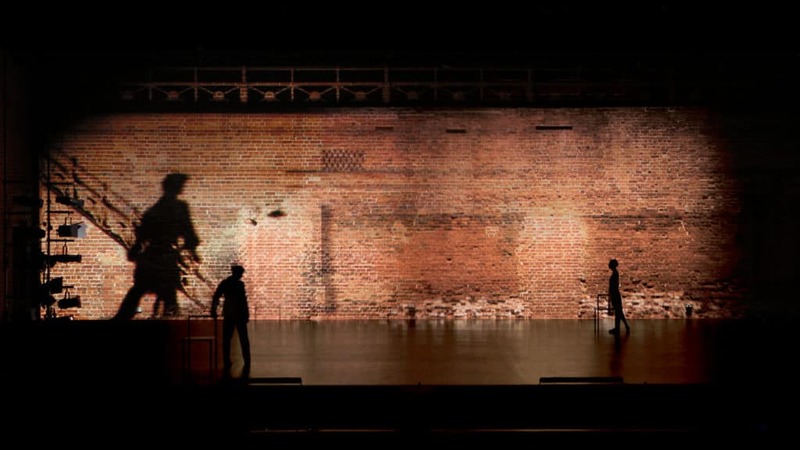 Leo Warner’s video images light up Snape Maltings Concert Hall, a brick box with limited room for scenery. 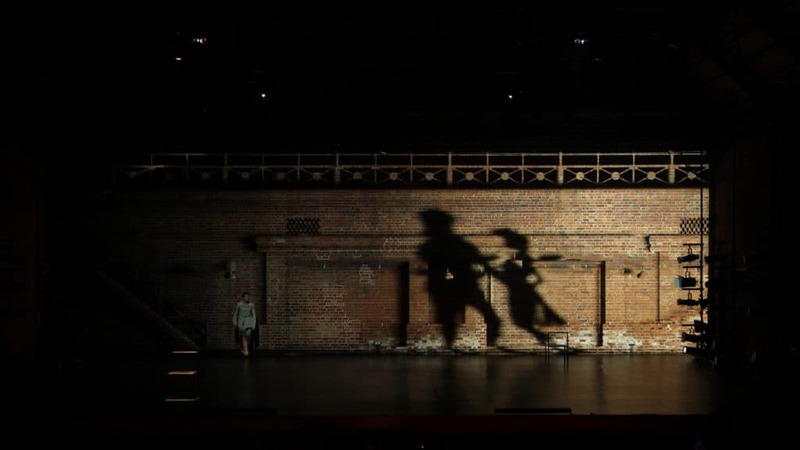 The old industrial brickwork glows gorgeously, shadowed with stylised scenery and shadowy dancers. 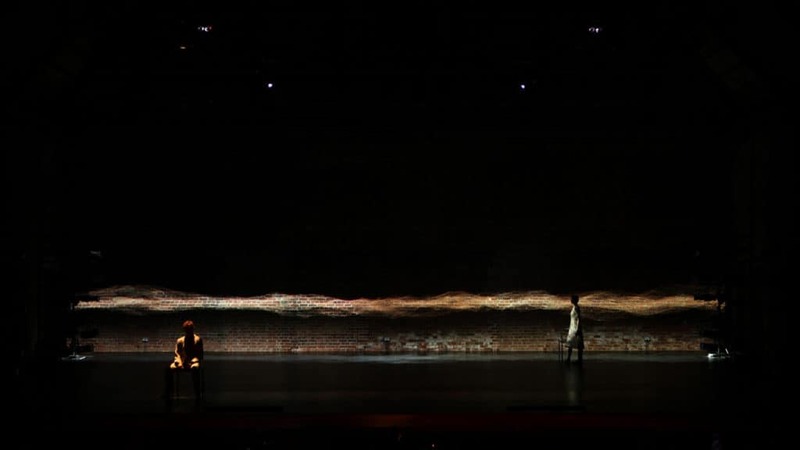 Sambé and Watson mirror each other’s movements, one on a dark half of the stage, the other in light, with a wavering white line marking the distance. Sambé could be Watson’s past; Mara Galeazzi flits between them in fluid, delicate dances.